Jakarta Water Resources Dep. is about to install a sheetpile on Sentiong River, Jalan Bendungan Jago, Serdang, Kemayoran, Central Jakarta next week.
" 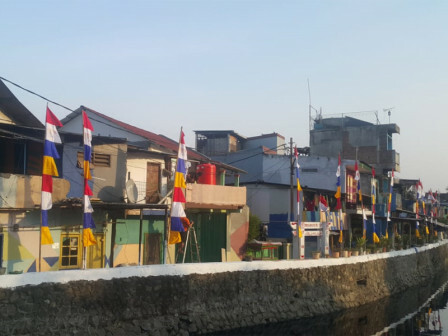 The sheetpile will be installed on the right and left sides of the river"
"The sheetpile will be installed on the right and left sides of the river," expressed Andika Purnomo, Section Head of Development and River Elevation and East Flow Beach, Saturday (10/20). "Hopefully it can be complete by the end of this year," he hoped.